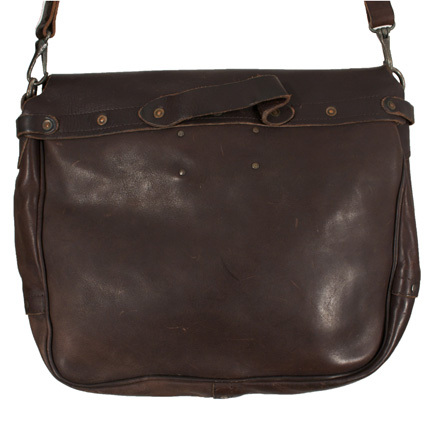 This satchel was utilized by the character Jack Bauer played by actor Kiefer Sutherland in the eighth season of the award winning television series “24”, which ran from 2001 to 2010. 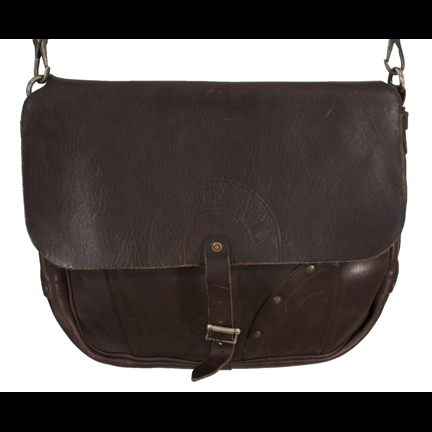 The “Double RL” satchel by Ralph Lauren is constructed of brown Italian leather with buckle strap flap, metallic rivet details, and matching clip-on shoulder strap. 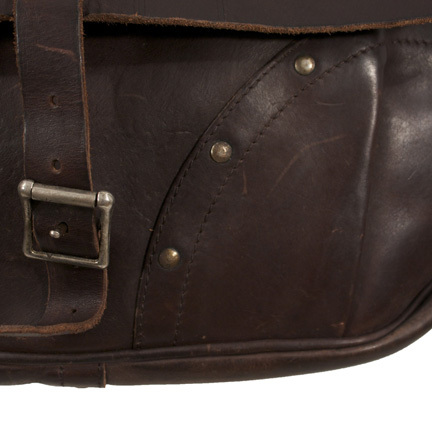 This is the one and only leather satchel used by Mr. Sutherland in Season 8. 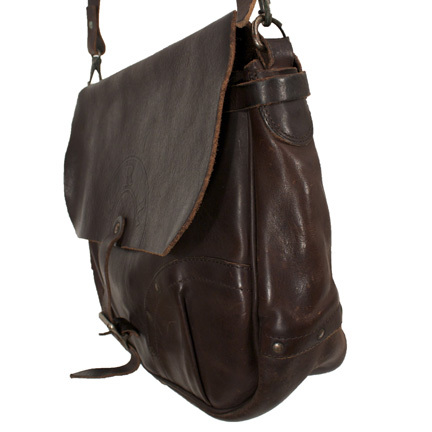 Mr. Sutherland first appeared with the satchel in Episode 1 (Day 8: 4:00pm – 5:00pm) during the scene where he sneaks ex-con Victor Aruz (Benito Martinez) out of his apartment after learning of the plot to assassinate President Omar Hassan of Kamistan (played by Anil Kamoor). 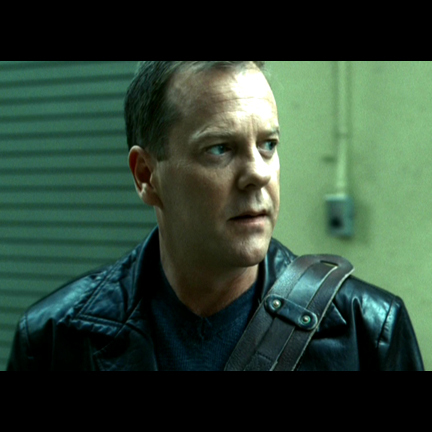 Bauer continued to wear or carry the satchel in numerous scenes in the next four episodes, and again appeared with it in Episode 9 (Day 8: 12:00am – 1:00am) when preparing to leave the CTU headquarters. 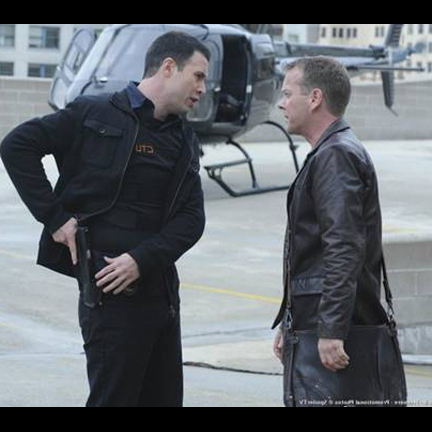 In Episode 18 (Day 8: 9:00am - 10:00am), Agent Chloe O’Brian (Mary Lynn Rajskub) hands Bauer the satchel in a box after he’s dismissed by the President, and he continued to wear it during the sequence when he hijacks the helicopter that’s supposed to take him to Ellis Air Force Base for debriefing. 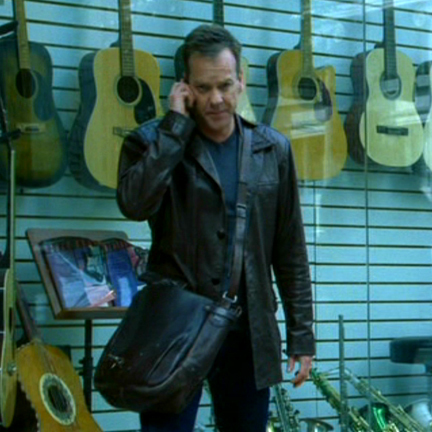 Bauer kept the satchel with him through the following episode until taking it off after arriving at the apartment of Jim Ricker (played by Michael Madsen). 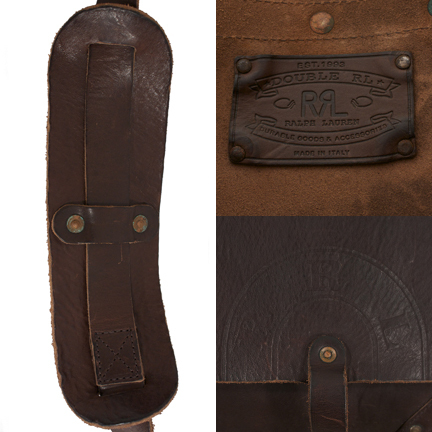 The satchel is in hand distressed screen used condition and is accompanied by a letter of authenticity.